the illegal trade in ivory. 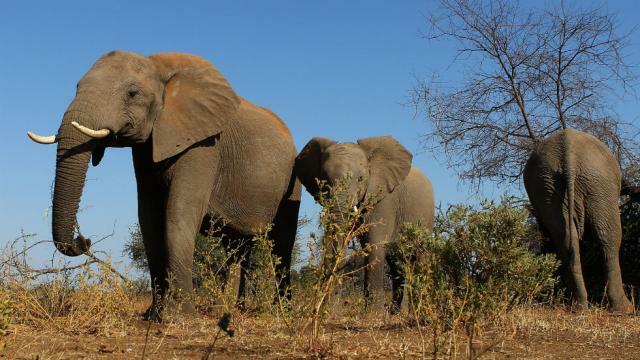 through progress made in reducing elephant poaching (resulting in stabilised or increased elephant populations) or improving legislation and enforcement actions (resulting in increased ivory seizures and successful prosecutions). China closed its domestic ivory market almost entirely. Meanwhile, Uganda has reported that participating in the NIAP process has been positive by encouraging key Government officials to recognise the importance of tackling illegal ivory trafficking as well as by giving the issue more public prominence across the country. There have already been some welcome developments in the process, such as the production of templates for NIAPs and progress reports. The NIAP Guidelines adopted at the 17th CITES Conference of the Parties in 2016 (CoP17), 1 recognise the need for performance indicators and targets to demonstrate progress. They include data on elephant poaching levels, number of ivory seizures, successful prosecutions and any relevant indicators from the International Consortium on Combating Wildlife Crime (ICCWC). The CITES Standing Committee (SC) has the ultimate decision making authority over who participates in, stays in or exits the NIAP process. Since the SC meets every year, this offers an opportunity for tracking progress, supporting implementation and securing strong country-specific decisions on a timely basis, rather than waiting for three years to secure action at a CITES CoP. However, the NIAP process is in its infancy. As such, weaknesses are still being identified and there are opportunities for learning and making improvements. The NIAP Guidelines are an important step forward but they have not been fully implemented to date. One of the most significant concerns is that even though the NIAP Guidelines specifically encourage assessment of progress by independent experts, the process continues to rely on self-assessment progress reports submitted by Parties, without independent review. These progress reports may not fully reflect the key challenges being faced by the NIAP Party in question. There is a clear and pressing need for the mandatory use of independent experts in the assessment of progress against NIAP objectives. Similarly, serious concerns have also been raised about the adequacy of certain NIAPs to address the problems they need to solve. Therefore, as well as being involved in the assessment of progress, it is important that independent experts participate in the development of the NIAP. Finally, independent experts should be involved in the ultimate assessment as to whether a country should exit the NIAP process. While the existing NIAP Guidelines do call for consultation with independent experts, necessary amendments to the NIAP Guidelines should be made at CoP18 to ensure that involvement of expert analysis becomes a standard part of the NIAP process and not an optional extra. The underlying issues within a country may change during the period covered by a NIAP. If that happens, the SC should be able to work with the Party to revise its NIAP to address those changed circumstances, rather than wait for the end of the NIAP period to request the development of a new NIAP. A significant concern about the NIAP process is that the focus is on tracking actions of NIAP Parties rather than on impact. Parties tend to focus on achieving a certain percentage of the NIAP objectives rather than assessing their actual impact in addressing the problems (for example, by demonstrating an increase in elephant populations or disruption of organised criminal networks involved in ivory trafficking). Once a certain percentage of the NIAP objectives has been achieved, the Party may argue that it should exit the process. That would be premature. Before the SC decides that any Party should exit the NIAP process, there should be an assessment period involving detailed input from independent experts to establish whether the actions taken have actually made any difference to the underlying problems. If not, the NIAP should be revised. For example, if a country has made legislative changes, it would be premature for that country to exit the NIAP process, without demonstrating the impact of the changes such as increased prosecutions and disruption of the organised criminal networks implicated in ivory trafficking. not, to employ the ICCWC indicators to evaluate the impact of their responses to wildlife crime. • lack of centralised wildlife crime database. commitments to tackle corruption. While several NIAPs refer to key indicators to demonstrate progress, very few NIAP progress reports are actually using these indicators – for example, they do not include information on arrests and prosecutions to demonstrate progress in tackling ivory trafficking. 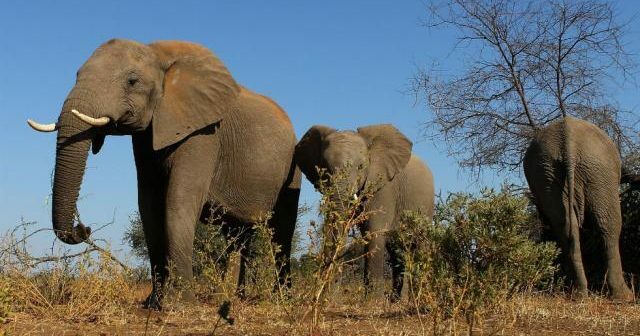 The NIAP process offers a critical opportunity for world governments to take stock of the problems that have led to the ongoing elephant poaching crisis and to tackle these concerns in an effective way. To achieve that objective, this report demonstrates that there are a number of concrete actions that should be implemented urgently. Previous ArticleHas rhino poaching decreased, or are we running out of rhinos?